The distinguished art institution of Indiana, Fort Wayne Museum of Art opened a new exhibition last Saturday entitled curiously, Biological Canvas. This is the second collaboration of the museum with an independent curator Josef Zimmerman. For this event, Zimmerman selected three artists who find their expression in visual renderings of biological matter, whether it be creatures, tissue or extracted organic elements. Three creatives who thrive on portrayal of various natural processes are Yis Goodwin a.k.a. 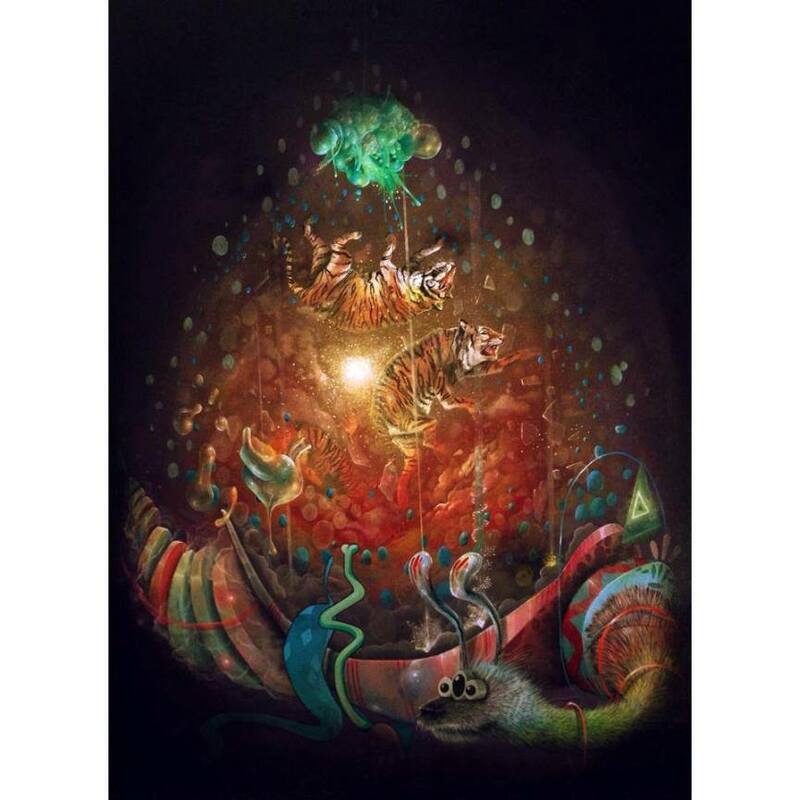 Nosego, Justin Miller, and Scott Teplin, all similar in the subject preference, but distinctively different in manner. 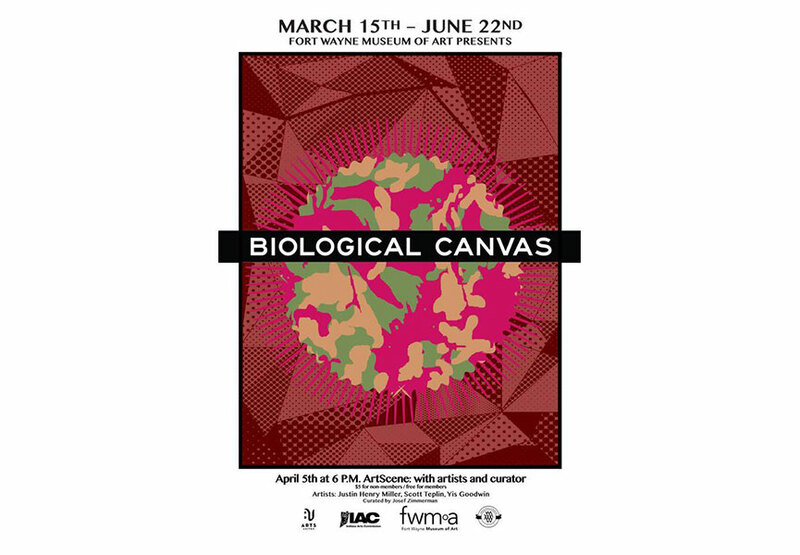 Biological Canvas opened on March 15 and it will run through June 22, 2014. The show will be complemented with event, one of which is the artist talk scheduled for April 5, with Miller and Goodwin. Scott Teplin graduated from the University of Wisconsin and got his MFA from University of Washington, Seattle. He has been an active member of the fine art community since the mid 90’s, and he exhibited internationally. His artwork makes part of several prominent collections, including MoMa in New York and Smithsonian Institution collection. 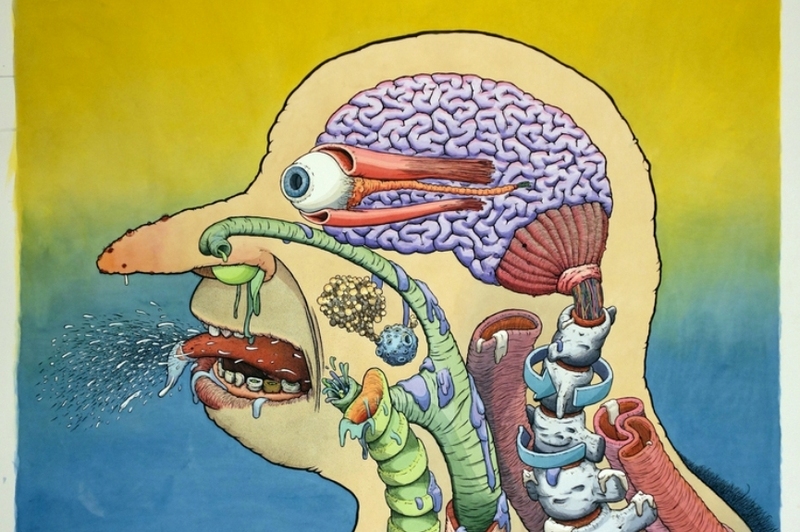 His series of drawings entitled Future Trash offers an in-depth analysis of a human (or resembling) organism and its parts through the usual processes an organic assembly conducts on a daily basis. He presents a clever interaction with organs and word play, assigning logo-like and sometimes iconic slogans to certain parts of the body. His style is illustrative and fun, almost resembling an illustration for children, while the soft palette perfectly balances somewhat gruesome narrative of his work. Based in Philadelphia, NoseGo is and artist, muralist and an illustrator, also keen on media arts. 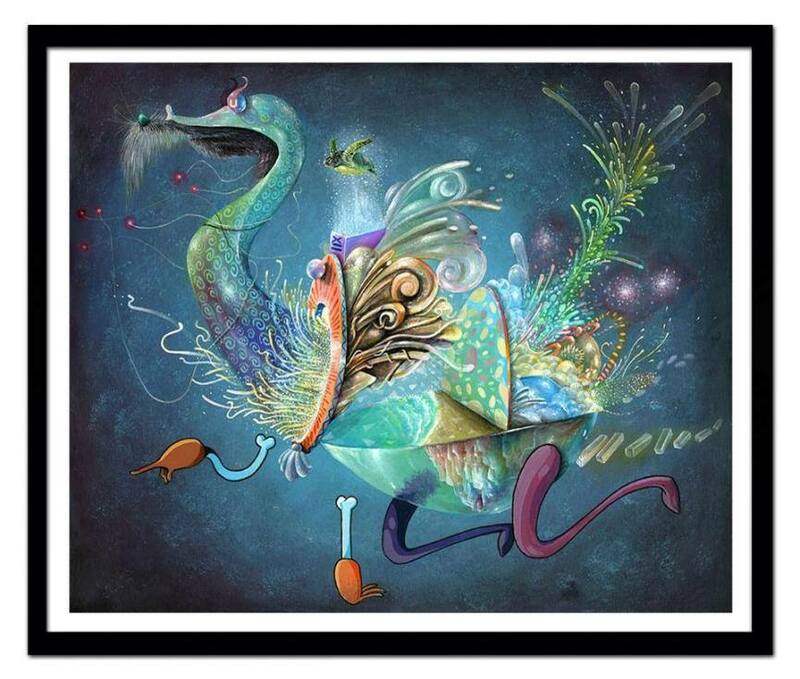 His traditional painterly approach is employed in creations of entirely contemporary surrealistic inventions of imagined beings. His warm and deep palette, meticulous brushstrokes and attention to detail convey the spirit and the energy of his depicted characters in the best way. 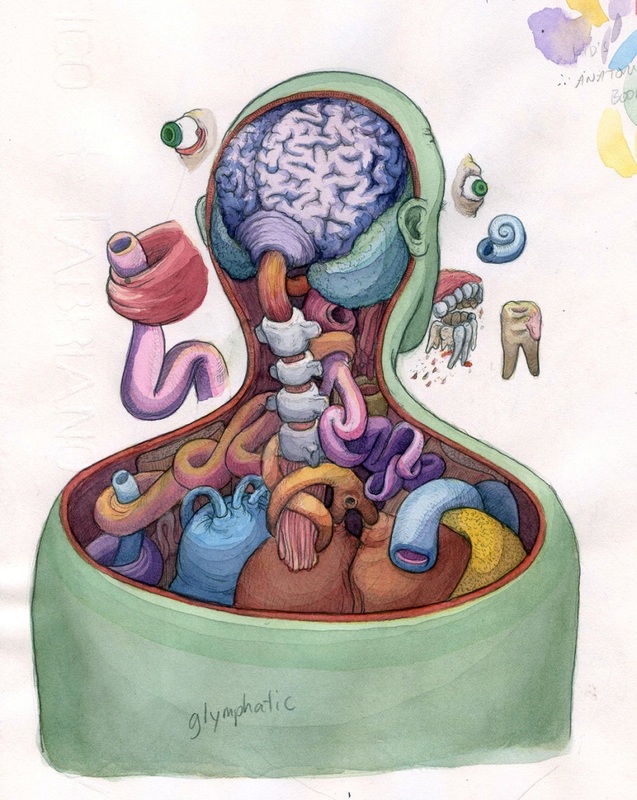 His drawings are combinations of various ornaments, deep color and beings he invents. 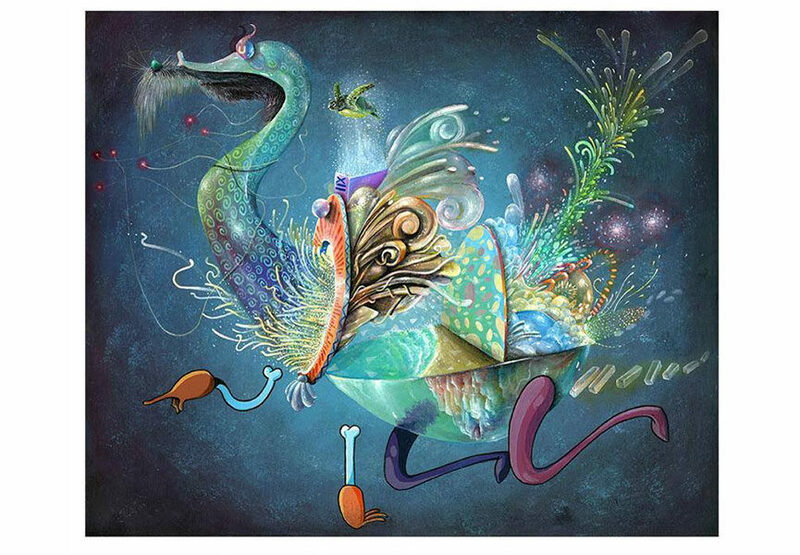 NoseGo is a prolific artist who has exhibited his work internationally. He collaborated with prominent brands providing unique and inspiring illustrative designs. Justin Miller is an artist from Indiana. He graduated from Eastern Illinois University, where he got his first MA. The MFA program he completed at University of Notre Dame in 2006. Miller has become known for his interventions on vintage photographs, where he would add organic, animal limbs to the captured people. 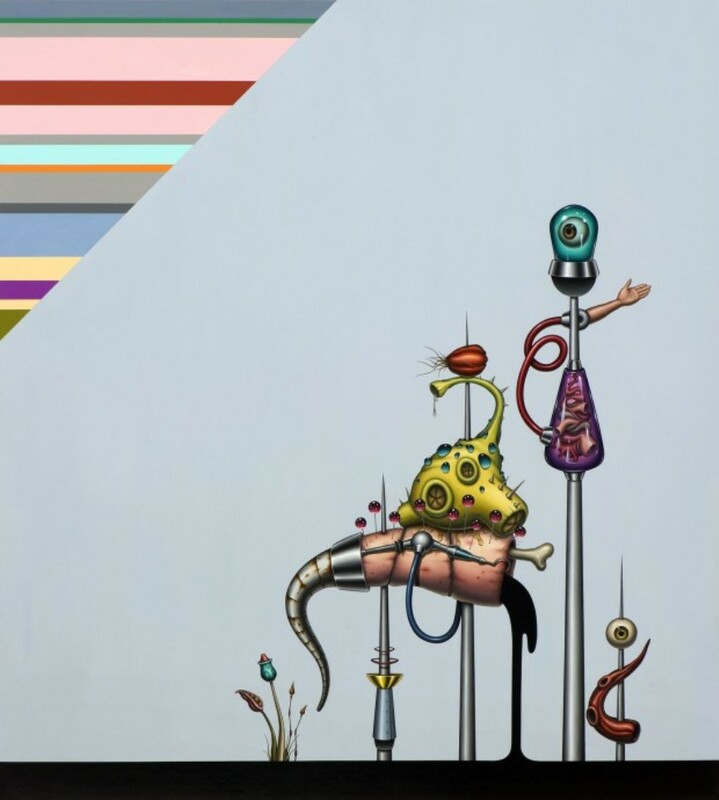 His paintings are surreal combinations of humanoid elements intertwined with technology and other inorganic matter, depicted in a cartoonish manner, with clear and bright palette. There is something of Joan Miro in his paintings, but Miller’s style definitely carries a much more conscious and definite message. 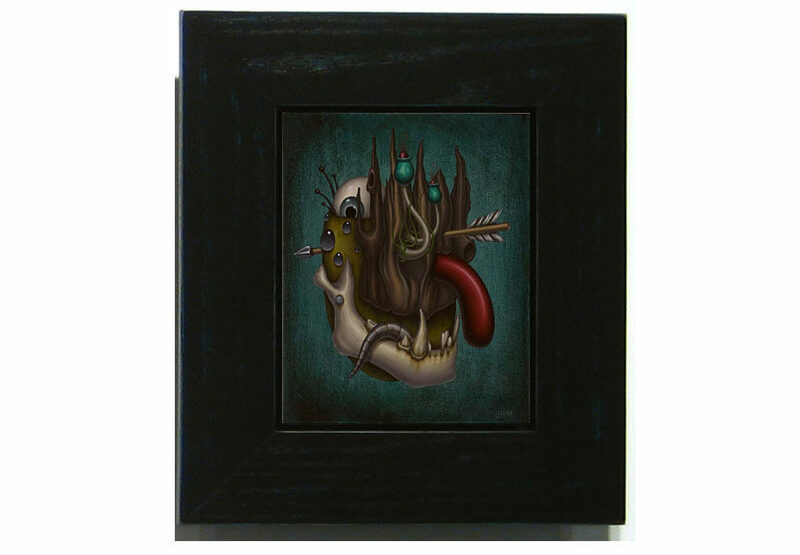 At the Biological Canvas exhibition he will be represented by 6 paintings, 6 vintage photo interventions, and 3 etching prints. Fort Wayne Museum of Art is a contemporary art institution founded in the distant 1888. 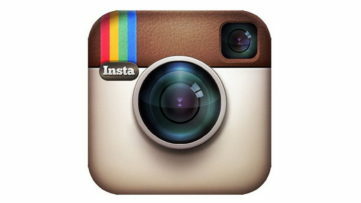 It is located in Fort Wayne, Indiana, and is holds permanent and travelling collections of national significance. Annually, the institution welcomes around 100,000 visitors.